To ensure that all content our authors provide is unique, every submitted article goes through our proprietary 3-fold Plagiarism Check. 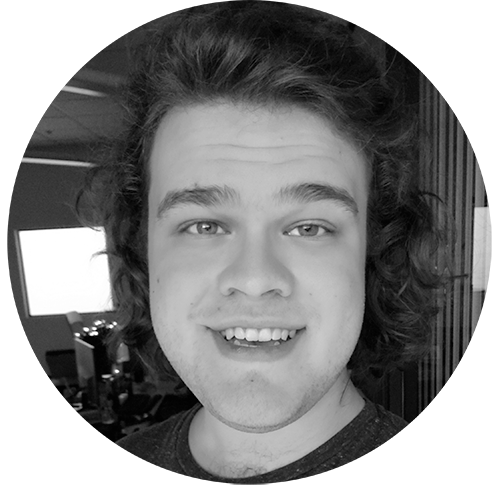 If a piece of content isn’t unique, we ask the author to revise it to uphold this promise. 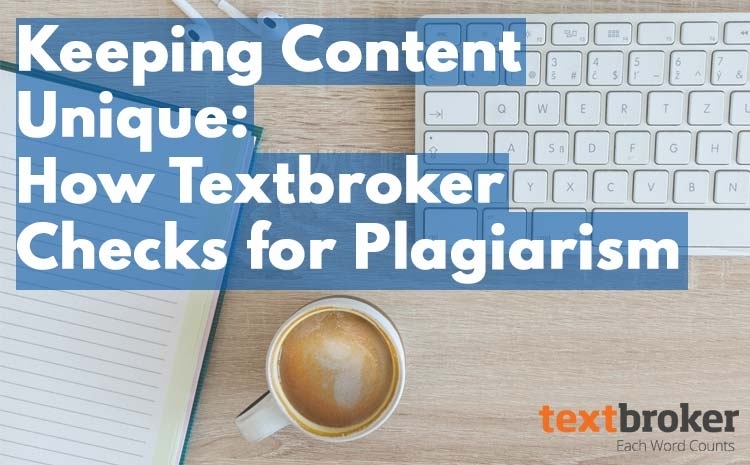 New authors are frequently curious about this system, so today, we’re providing a brief look into Textbroker’s plagiarism checking process. Modern search engines take a lot of factors into account when helping users find what they’re looking for online including the website’s quality, how many people visit the site, and the uniqueness of the page’s content. Textbroker’s clients frequently use the content they purchase from our authors to get more traffic, or visits, to their webpage from people using search engines. Even if a client is not explicitly trying to move her website up in the search rankings, duplicate content can quickly lower a site’s reputation, doing more harm than good. This is why Textbroker offers a unique content promise to our clients. When someone comes to us to purchase content, they obviously want it to be unique since it would be much easier to copy content themselves if they didn’t care about uniqueness. To ensure that all content our authors provide is unique, every submitted article goes through our proprietary 3-fold Plagiarism Check. If a piece of content isn’t unique, we ask the author to revise it to uphold this promise. New authors are frequently curious about this system, so today, we’re providing a brief look into Textbroker’s plagiarism checking process. When an author submits a finished order, the content is immediately sent through a series of automated plagiarism checkers. These programs check the content for similarity to tens of millions of pages across the internet and report back to our system the degree of similarity to any matching documents. Obviously, pieces of content on the same subject will have some similarities, but that doesn’t mean they’re copied. 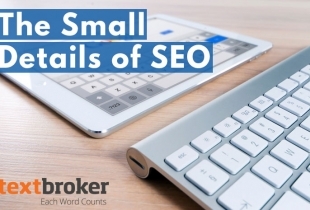 This is why content that shows no similarity to any pages on the internet will be sent straight to the client while orders displaying noticeable similarity to other pages will be sent to Textbroker staff for manual review. 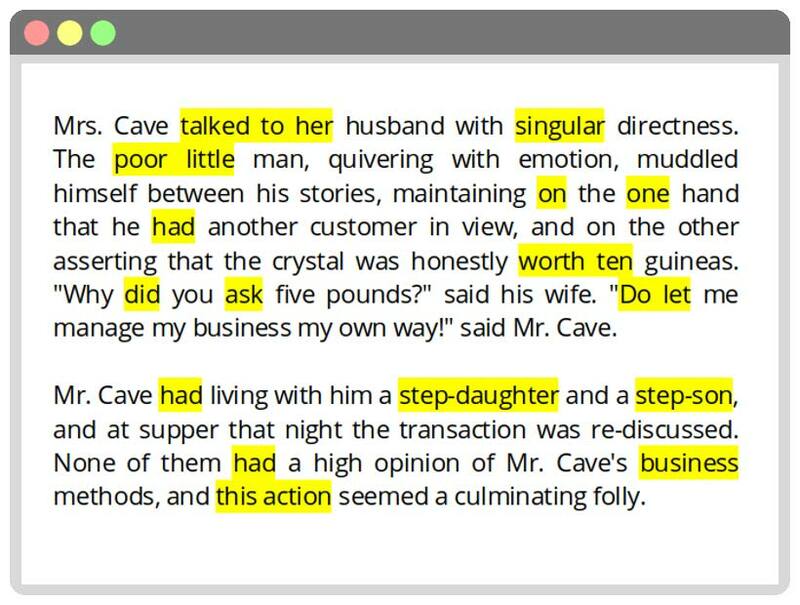 This example shows content that would be sent back to the author for revision. The first three highlighted words are not a problem; those words probably occur together millions of times across the internet and don’t represent a copied thought or idea. 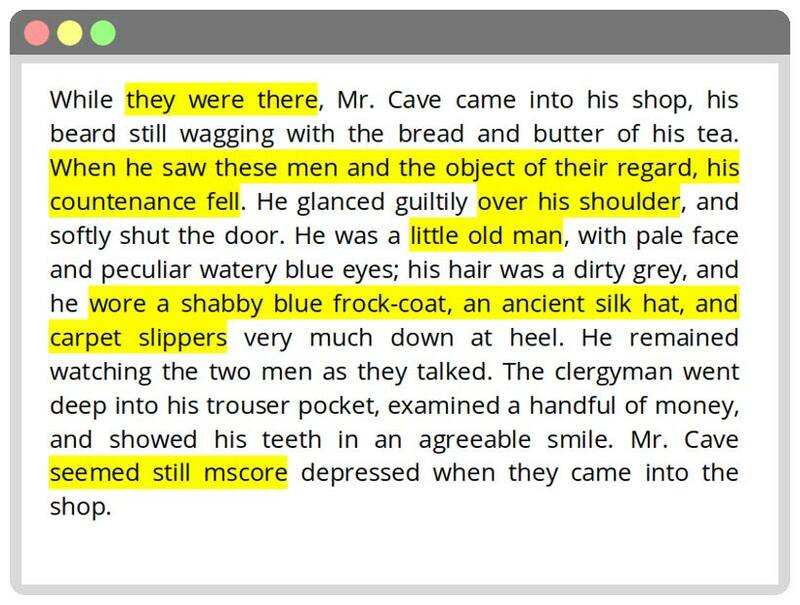 The second set of highlighted words, beginning with “When he saw these men … ,” is not acceptable. Any completely copied sentences or uncommon phrases not specifically requested by the client are considered plagiarism and will be sent back for revision. 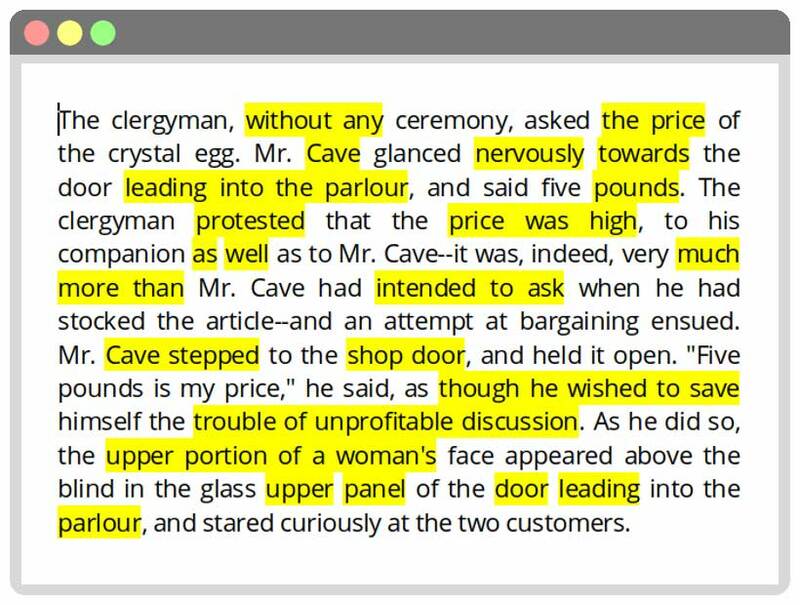 The second block of highlighted words is a problem, too; even though it’s not a complete sentence, it is highly unlikely that two different people would use the exact same descriptions of the man’s clothing. This kind of similarity can hurt a website’s search rankings as well. While this content doesn’t contain any explicitly copied sentences, an order containing a large amount of flags like this might be sent back as well. This type of flagging can be indicative of a type of spinning where, instead of writing unique content based on information found elsewhere, an author simply uses a thesaurus or other tool to swap out some of the words in their content. Because this does not change the structure or add additional value to the text, this can hurt a site’s search rankings and does not comply with Textbroker’s uniqueness promise. Keep in mind that results like this are always reviewed by staff to make sure the content really does appear to be spun. Some highly technical orders may contain a lot of flags without actually being spun. The content above does have some words in common with other sources on the internet, but these flagged words could easily be used in content about a wide variety of topics and are really not possible to rephrase. A trained staff member would look at this content and quickly realize it is not plagiarized, and the content would immediately be passed on to the client. Things like proper nouns, addresses, and unalterable legal disclaimers are often flagged as copied by the checks, but we do our best to avoid sending articles for revision for these things. 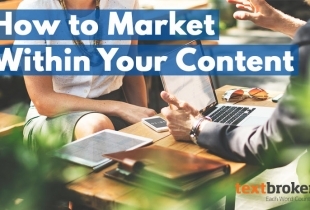 Content uniqueness is important to us at Textbroker, and we want it to be important to our authors as well. For more tips on writing unique content, including rewrites, based on information found online, check out our Rewrites and Recaps blog post. If you’re an author and have any questions about our plagiarism checks, please email us at authors@textbroker.com. This is an excellent article. In my mind, authors are creative, visual thinkers. Having a simple explanation such as this is invaluable. Now I can visualize before writing, which is a great help. Thanks Y’all!